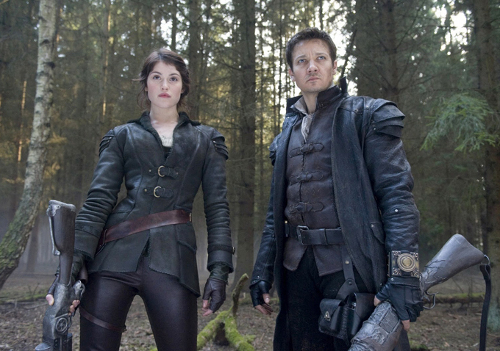 A while ago, we reported that some articles speculated whether Hansel and Gretel: Witch Hunters would come into cinemas as PG-13 or R-rated movie. As soon as the first trailers were released, it was clear that it would be "R" considering the huge amount of blood and violence portrayed there. Director Tommy Wirkola mentioned in an interview that he shot the film in a way that would make it nearly impossible to transform the film into a PG-13 vehicle afterwards. Either way, the "R" is safe and the director is generally satisfied with the final version of the movie. Still, there are some more extreme scenes that were removed from the film since the test audience was obviously irritated by them. First and foremost, the witch hunting tour of the two grown-up siblings has to be fun for the audience. Scenes that feature preparations to eat a baby could take away some of that fun for parts of the audience, though. And since that is not the goal of the movie, they were cut out but will probably be included as deleted scenes on the later Blu-ray/DVD releases.